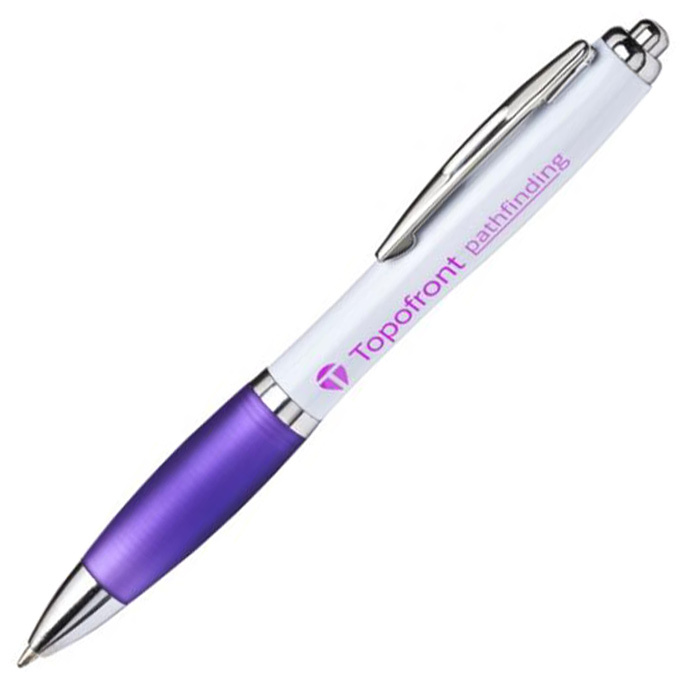 Our #1 best selling promotional pen! 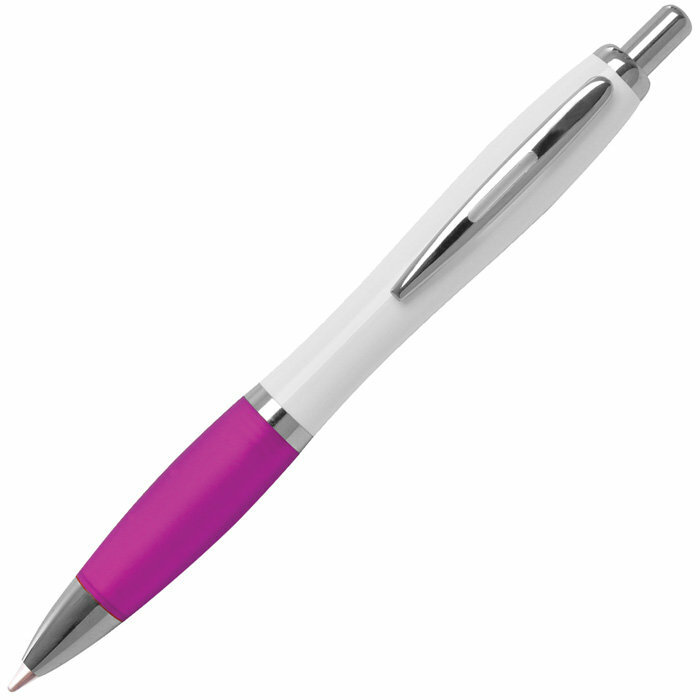 Contoured for writing ease, the Curvy offers both style and smoother writing. 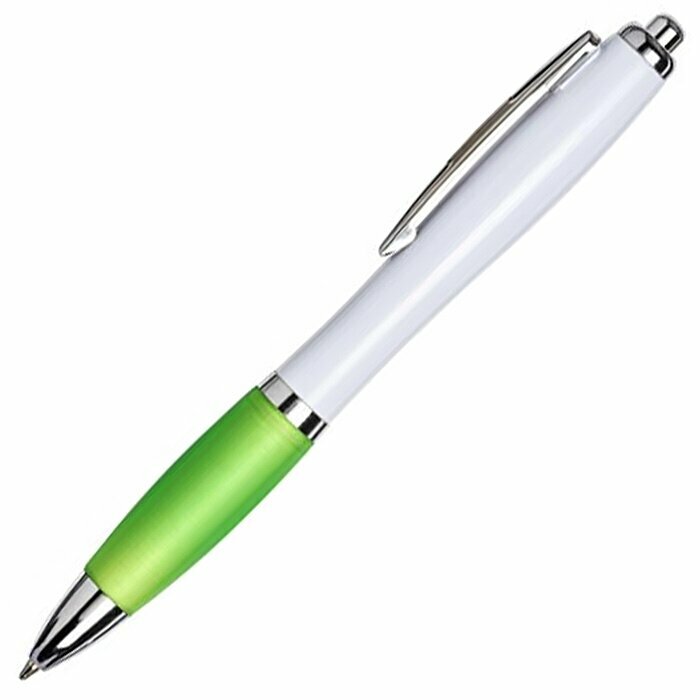 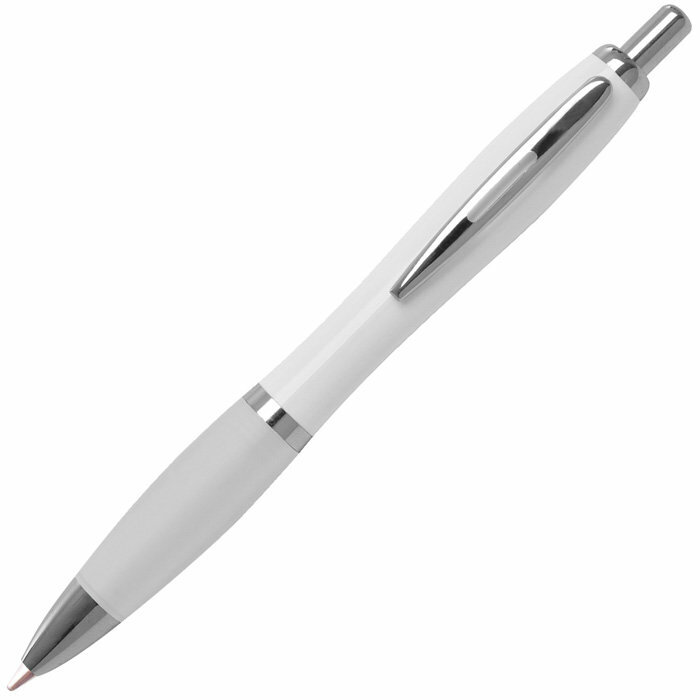 Each ballpen offers a glossy white barrel, coloured grip section and shiny silver clip. Your details and logo can be printed up to 4 spot colours (subject to sight of artwork) and will really stand out on the ice-white barrel.